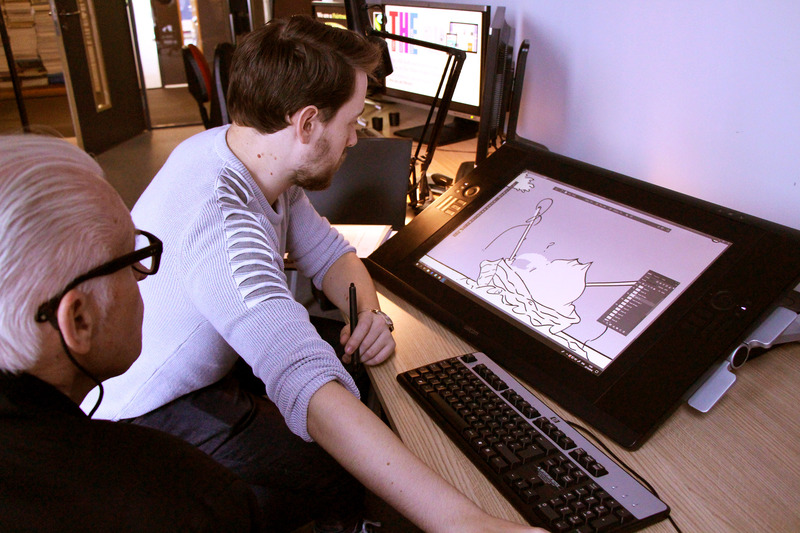 David has been an animator in the games industry since 2013. After completing and getting his first class BA honours degree in animation from Edge Hill University. 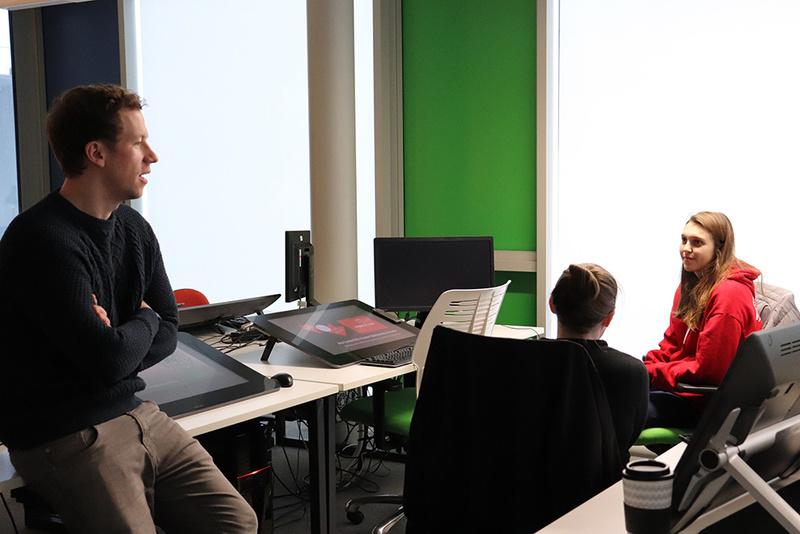 He came to Edge Hill Animation this week to pass on his experienced knowledge to the current crop of 2nd year Animation students undertaking a masterclass in Maya. Travellers Tales Games is a video game developer and based in Cheshire and produces the Lego video games. Follow the link to see the work they produce. In response to the Tate’s Op Art in Focus display, Alex, presented an interactive installation, focusing on illusion, repetition, geometric forms and colour. 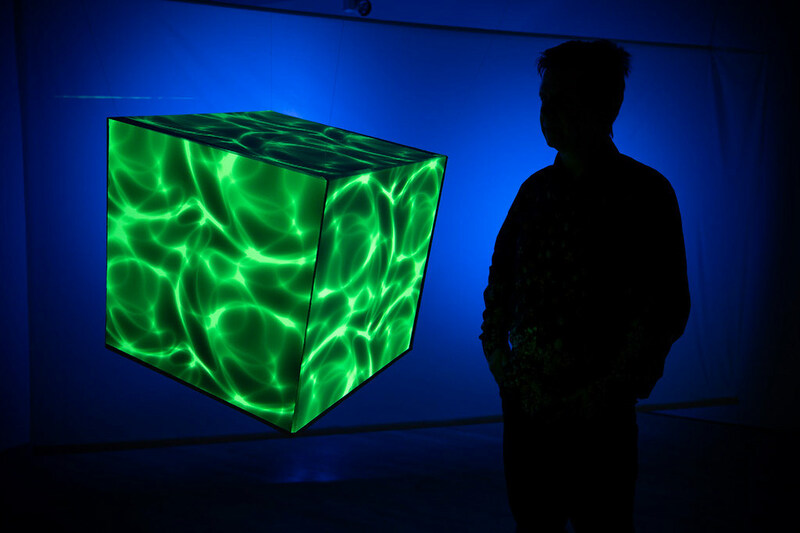 Titled ‘Optic Space Block‘ is a suspended animated cube from which to play and experiment with spatial illusion. 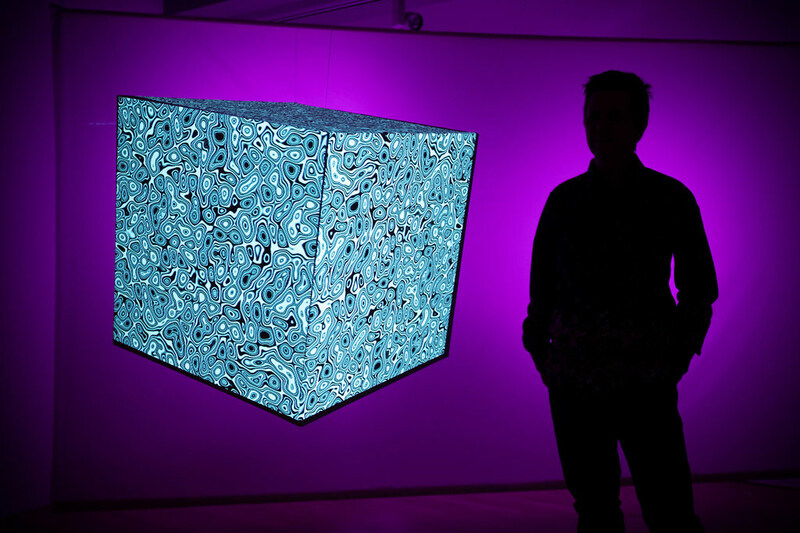 It combines aspects of 3-D CGI technology, projection, fine art and public interaction, using aspects of colour, space and illusion design techniques to explore ideas of a physical and perceptual space. 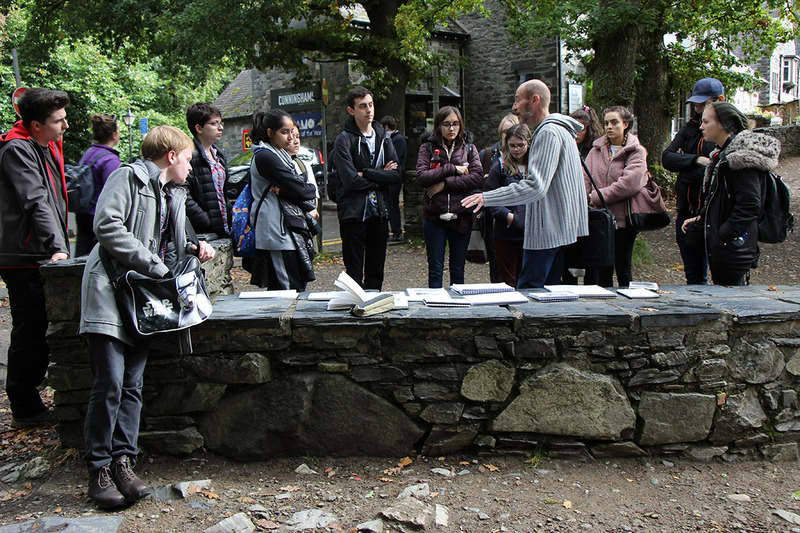 Students last week had the chance to work with scriptwriter Andrew Burrell. Andrew has recently written for Matt Groening’s new Netflix show ‘Disenchantment’ and CBBC’s Football drama ‘Jamie Johnson’. Previously he’s done stuff for Disney and Nickelodeon and was lead writer of ‘Danger Mouse’ for CBBC. 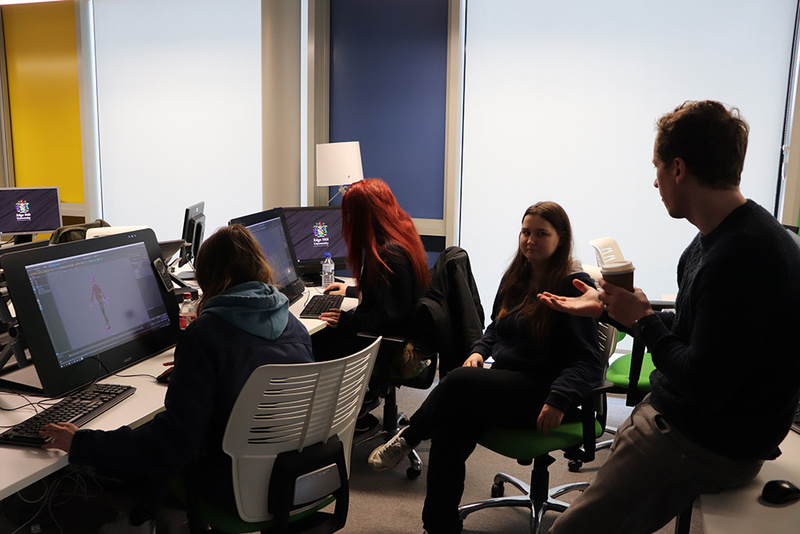 On Tuesday of last week during class, third year Edge Hill Animation students had the opportunity to discuss their final year project ideas, scripts and development with Andrew. 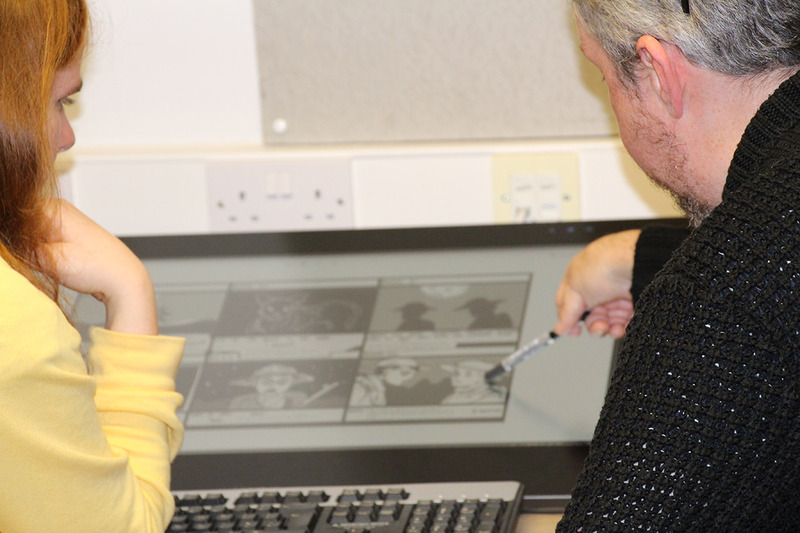 Internationally acclaimed, OSCAR and BAFTA nominated Animation Director Barry JC Purves worked with the 3rd Year Animation students on their final year projects. 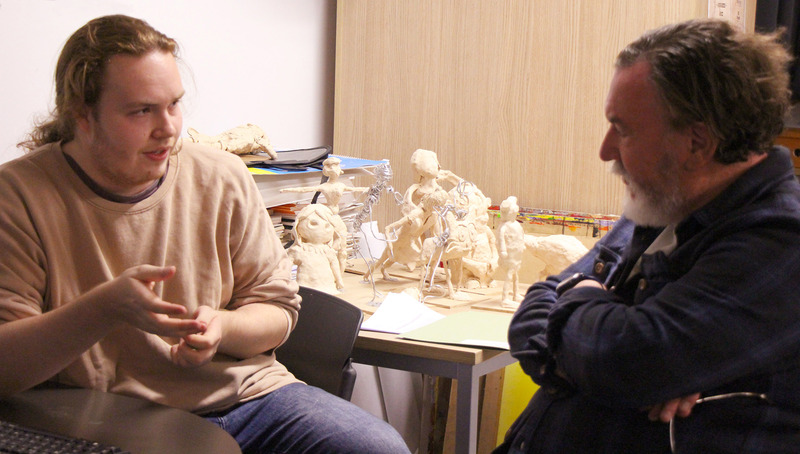 Barry is passionate about the art of film-making and spent time last Tuesday discussing cinematography and structure with the 3rd year students. Mike McCartney younger brother to Paul and known as Mike McGear and a key member of the famous Liverpool band ‘The Scaffold’ as well as being a prolific photographer. 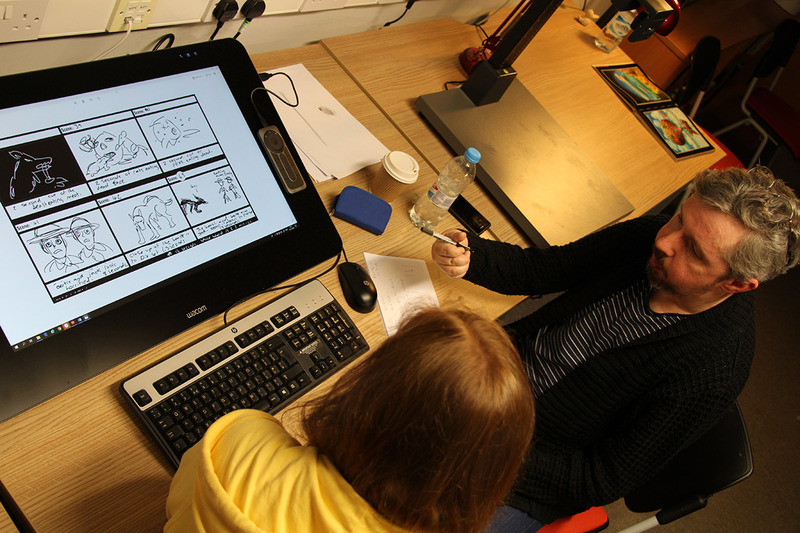 Has come to Edge Hill Animation in order to bring to life his ‘Weirdo’ series of sketches. 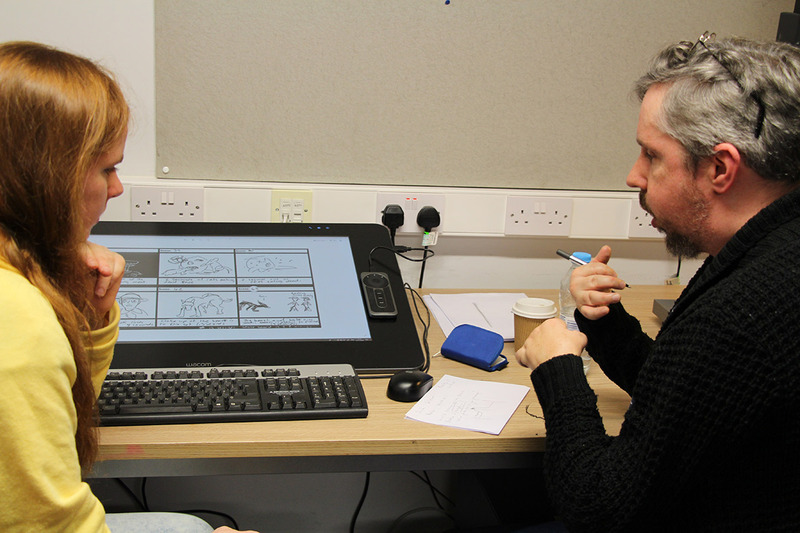 Animation alumni Peter Miller has been drafted in as the perfect 2D animator to bring Mike’s ‘Weirdo’ sketches to life. 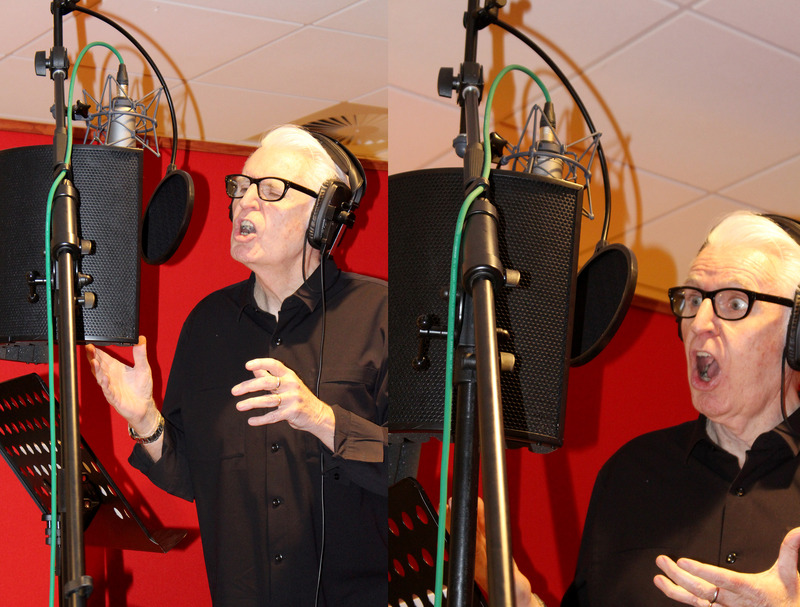 Mike seen here recording the voices for his ‘Weirdo’ series of sketches in Edge Hill’s Media Department sound studios. To see Peter Miller’s final year work see the following link. 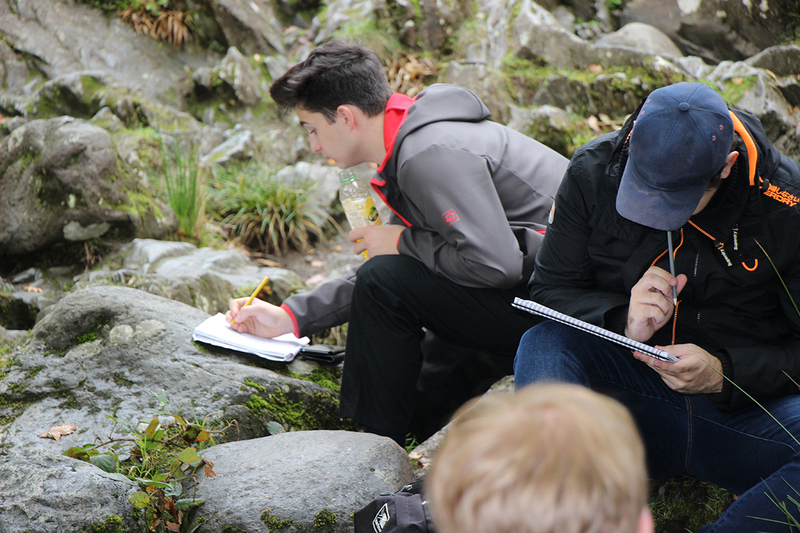 The start of October saw the first and second year Animation students going on the annual trip to Wales staying in Llandudno and this year we went to Betws y Coed where the students got into drawing and capturing audio. 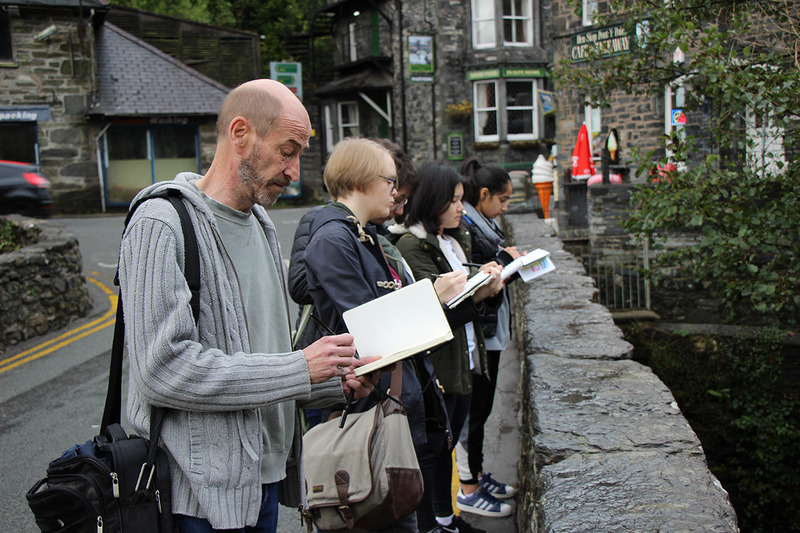 Animation students reviewing their drawn work in Betws y Coed, North Wales. 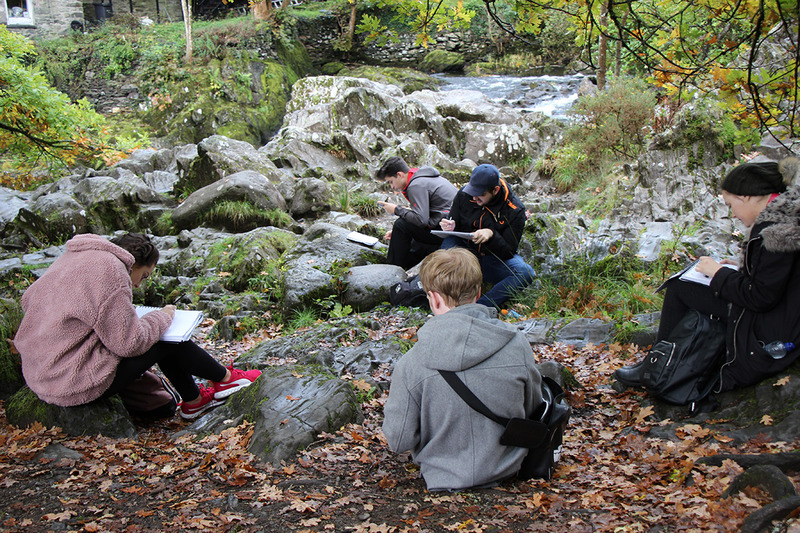 Animation Students drawing in Betws y Coed, North Wales. 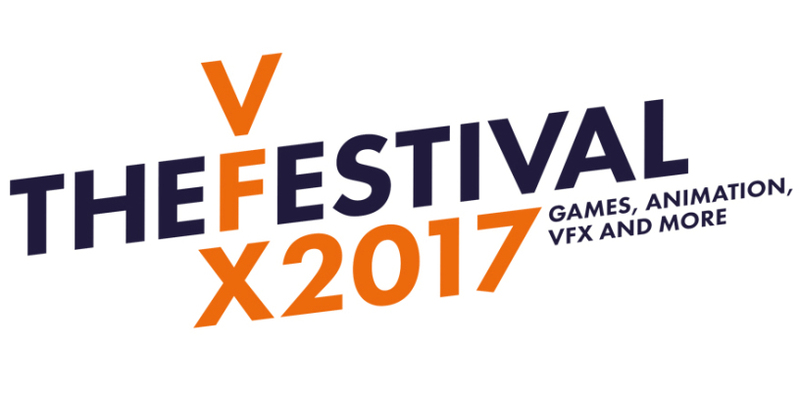 2nd year Digital SFX Animation and Motion Graphics students enjoyed the VFX FESTIVAL 2017 @ The Rich Mix Cinema, London. The festival hosted a fantastic array of Visual Effects, Animation and Motion Graphics companies from the UK. Major companies talking about production work included ‘Industrial Light and Magic’ talking about ‘Star Wars:Rogue One’, Framestore talking about ‘Fantastic Creatures’, MPC talking about ‘Jungle Book’ as well as a host of other production studios including The Mill, MOMOCO, Glassworks, Axis VFX, etc. 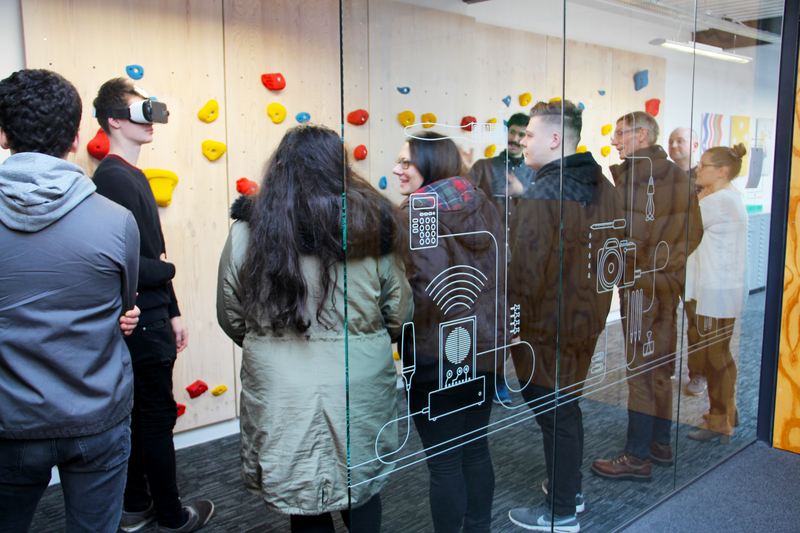 As well as a host of presentations, screenings and panel discussions, the students had a chance to spend time in the technology hub set up by the festival organisers on the fourth floor of the Rich Mix Cinema in London. Where they could get to see and experience the latest in interactive software and hardware including a lot of VR. With technology in the hub with HP, SideFX and The Mill demonstrating some of the tools that fuel innovation across the VFX industry. 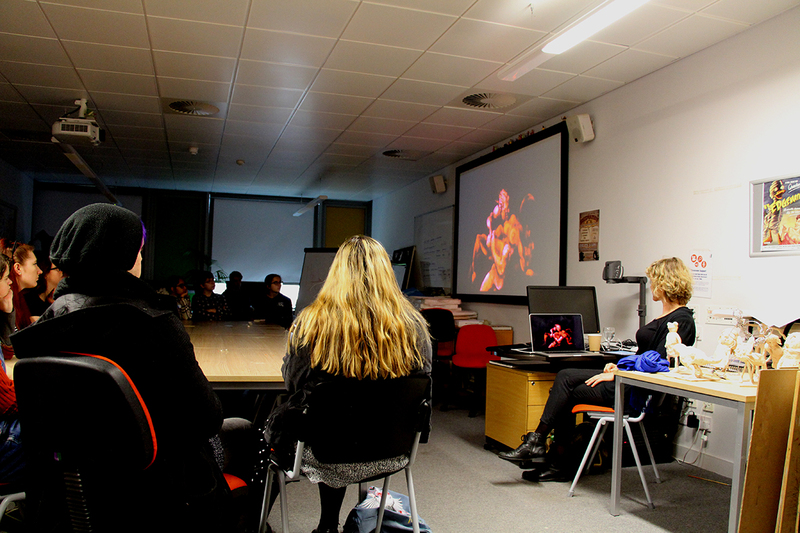 Also on the fourth floor opposite the Technology Hub was a room of stalls including an array of the top UK VFX, animation, AND Motion Graphics companies where the students could talk directly about careers, getting into the industry, showreels, employability, etc. 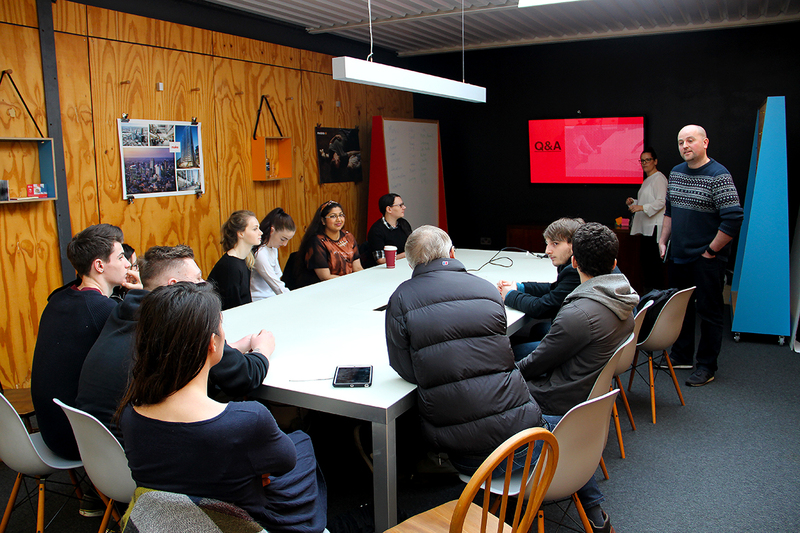 Students on the the 3rd year module ‘Showreel and Enterprise’ module visited Liverpool to have a look at the studios/offices of the design and innovation company Uniform in Liverpool. I think it safe to say that everyone who went on this visit was mightily impressed with Uniform in terms of the work they do, the people who work there and in terms of the space itself. 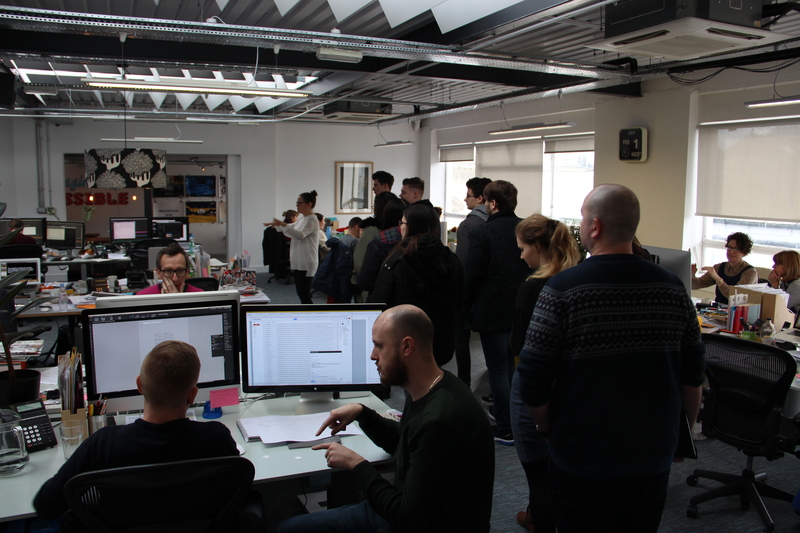 The students whilst there were given a studio tour that included being shown the work that Uniform undertakes in terms of research and development including 3D product design that relates to innovation including Virtual Reality and Artificial Intelligence. Also we had a presentation that directly related to Uniform’s animation and short promo video’s work for client’s. 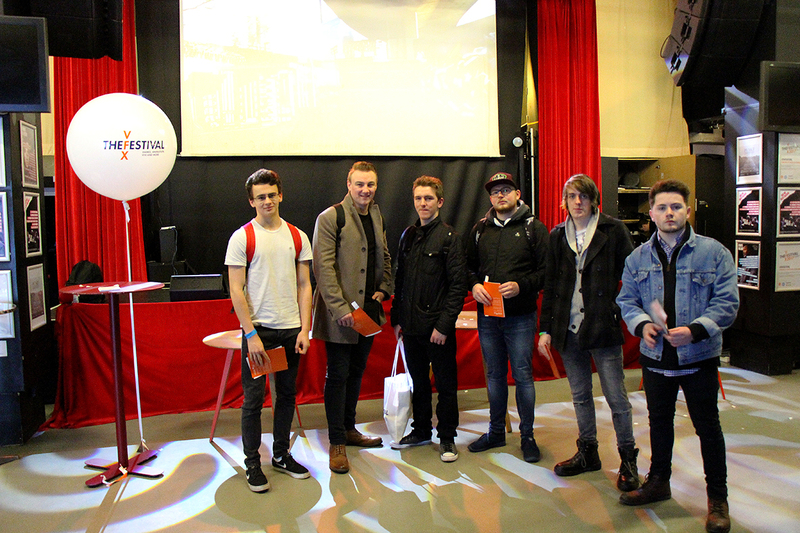 The students from the visit students gained an invaluable insights into the Creative Industry and employability.